Welcome to Platy-Fish.com, a modern guide for understanding and caring for Platies! Platies, or "platy" in singular, are a group of aquarium-friendly fish from the scientific genus Xiphophorus. Closely related to swordtails (caudal "sword" is identifying difference), platies are a freshwater species adapted to subtropical [fresh]water conditions. They are popular for being easy to obtain, care for, and breed, with a curious capability for "livebearing" - birthing fry instead of laying eggs. While popularity makes platies frequently underestimated as interesting aquarium inhabitants, as well-tended school can provide family entertainment for hours. 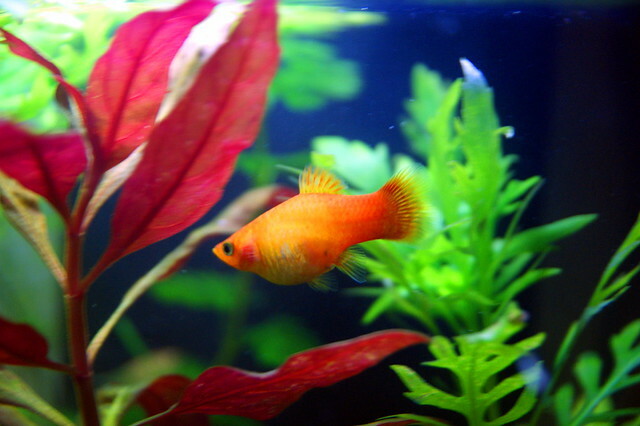 It is the goal of platy-fish.com to provide the information needed to understand and care for these fish.